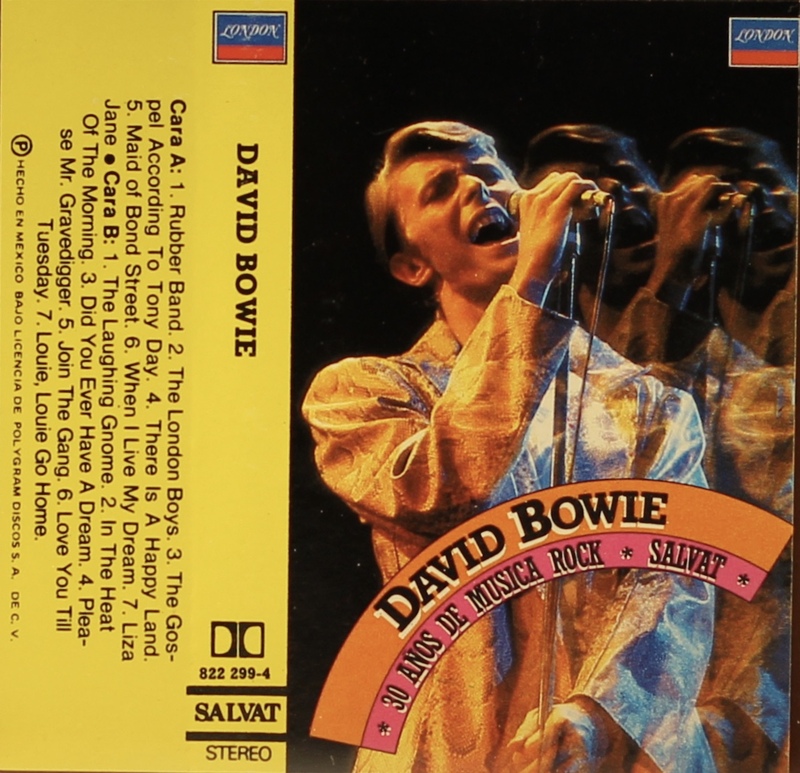 30 Años de Música Rock: Mexico; London, 822 299-4; 1983. Full panel cover photograph with white footer; white spine, rear and inner panels on stiff, glossy paper. Track list on rear, and inner panels. Mexican ‘Another Face’ issue. Rubber Band is the single version. 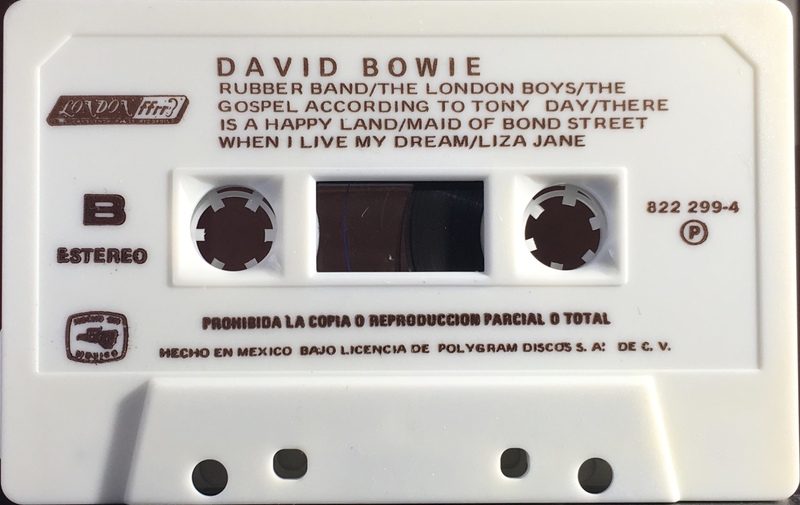 Black ink printed directly onto white shell; ‘London FFrr’ and ‘Hecho en Mexico’ logos. 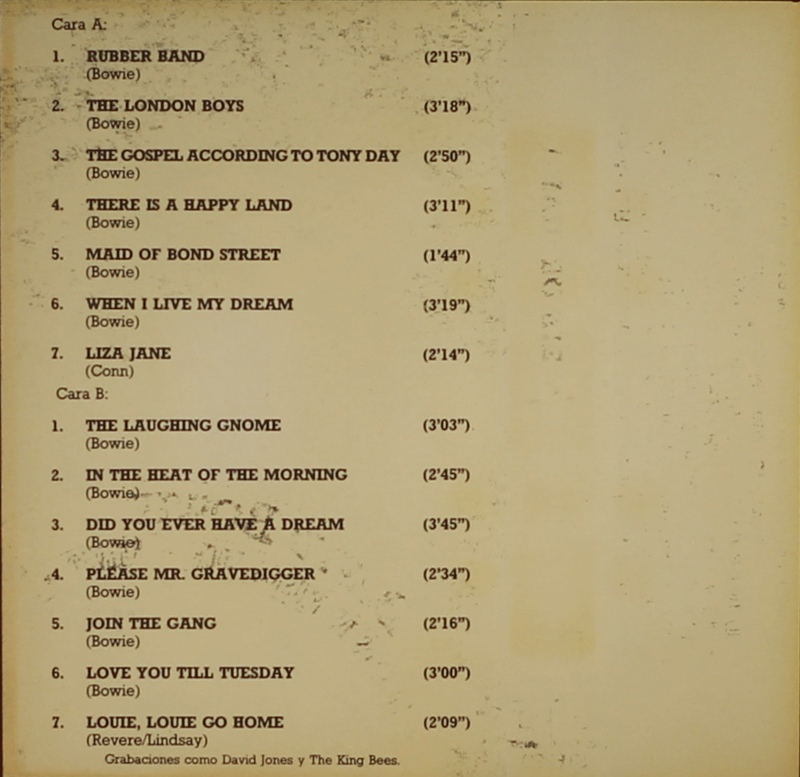 Side 1: Rubber Band; The London Boys; The Gospel According To Tony Day; There Is A Happy Land; Maid Of Bond Street; When I Live My Dream; Liza Jane. 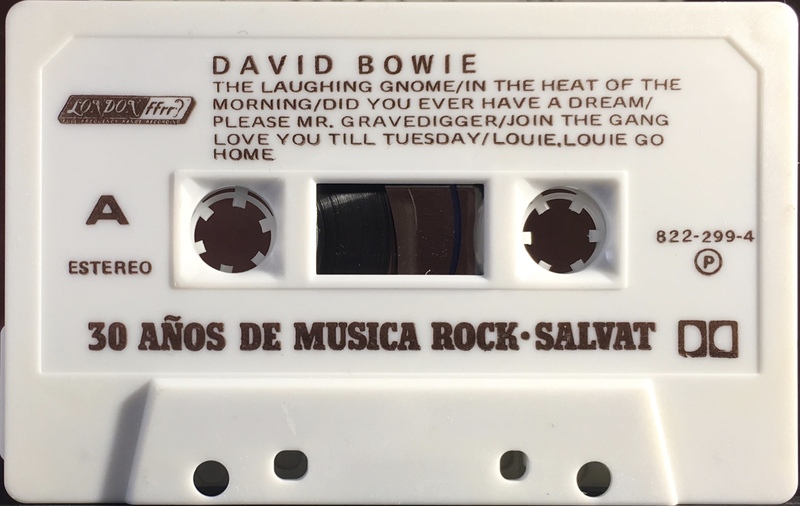 Side 2: The Laughing Gnome; In The Heat Of The Morning; Did You Ever Have A Dream; Please Mr Gravedigger; Join The Gang; Louie, Louie Go Home.